Happy May Day! The Worker’s Paradise of Cattistan welcomes you. 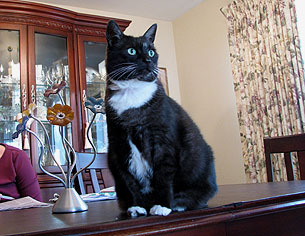 On the left, Domino strikes a heroic socialist post. 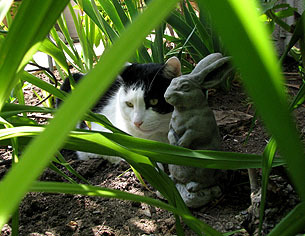 On the right, Inkblot relaxes with a concrete bunny while his human serfs provide for his every need. Come join us, comrades! You have nothing to lose but your chains.